Neuilly-sur-Seine, France, October 26, 2015 – Leading international classification society Bureau Veritas is to class the series of innovative Arctic-capable LNG carriers which will be built in Korea's DSME yard to service the Yamal LNG project in Russia's high Arctic. 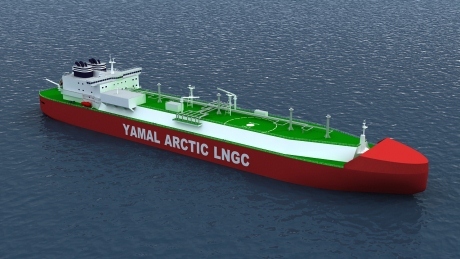 Exporting LNG from Yamal calls for a type of LNG carrier never built before. A series of fifteen vessels will be built, each capable of transporting 172,000 cu m of LNG and operating in second year ice up to 2.5 m thick. YAMAL LNG has awarded Sovcomflot, MOL, Teekay and Dynagas one, three, six and five vessels respectively. They will be built to dual Bureau Veritas/Russian Register class. Philippe Donche-Gay, Executive Vice President and head of BV's Marine and Offshore Division says, "We have made extensive investments in research into ice loads and navigation in ice, working with major Russian institutions and Asian shipyards. This effort, coupled with our world-leading expertise in large LNG carriers gives us a strong technical base to class these highly sophisticated vessels." 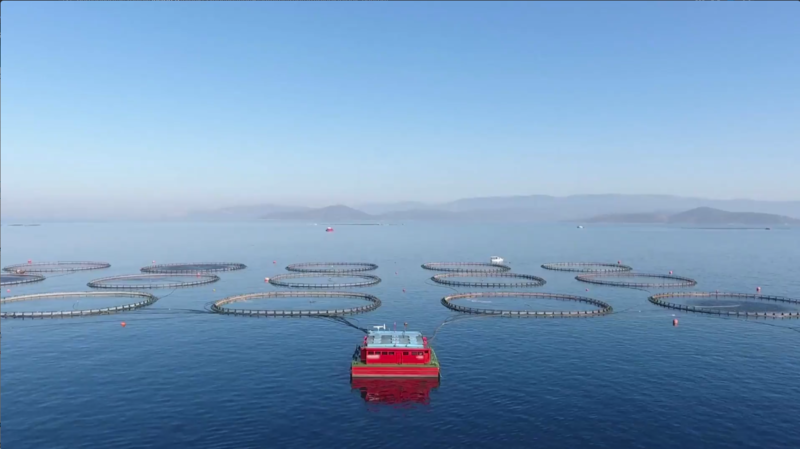 The 300 m loa vessels will carry 172,000 cu m LNG in four membrane tanks. The tank membranes will be of the GTT NO 96 type. The hull form is designed with a moderate ice bow forward and a heavy ice-breaking profile aft. The ship is dual-acting, navigating in light ice or open sea bow first, then navigating astern to break heavy ice. The astern ice breaking mode is assisted by the unique podded propulsion system which consists of three pods delivering around 45MW of power. Separate engine rooms housing the diesel generator power plants will be encased in a double hull to give protection from the ice and a high level of redundancy. The ships will be built to Russian Register Arc7 standard, equivalent to an intermediate level between Polar Class 3 and Polar Class 4 of Bureau Veritas rules, for year-round operation in second-year ice with old ice inclusions with ice thickness of 2.5 m. The vessels will be highly winterised with Bureau Veritas winterization notation COLD (-45,-52) which means that the hull is prepared for operation in -45 Celsius ambient temperature and the equipment should be able to work at -52 Celsius. Safety of the vessels and care for the environment will be enhanced by a forward and aft ice belt to add strength to the hull in key areas and a very detailed fatigue life analysis to ensure the structure can with withstand the expected extreme stresses for the life of the vessel. Bureau Veritas' IceSTAR tool is being used to assess the hull ice loads.